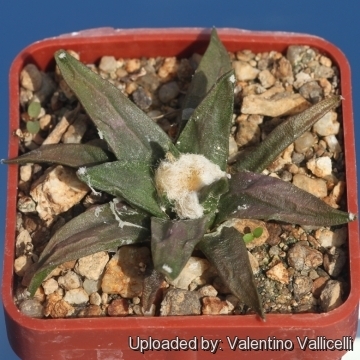 Description: It is a small slow growing solitary cactus obtained by crossing ♀ Ariocarpus agavoides x ♂ Ariocarpus retusus var. elongatus. 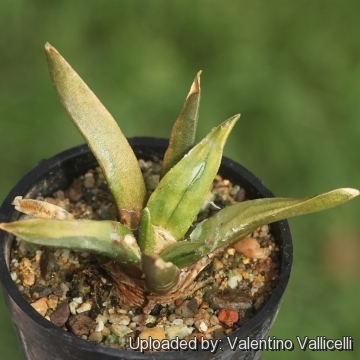 The superb features of this rare plant are due to the intersection between the traits of the ancestors. 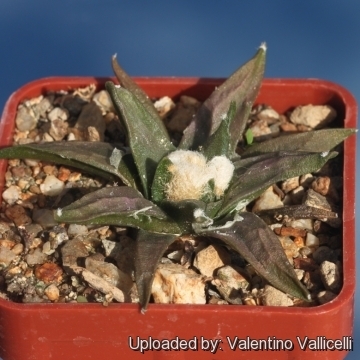 It has inherited by Ariocarpus agavoides the thin, acute tubercles wich presents a wider flattened upper surface like in Ariocarpus retusus var. elongatus. 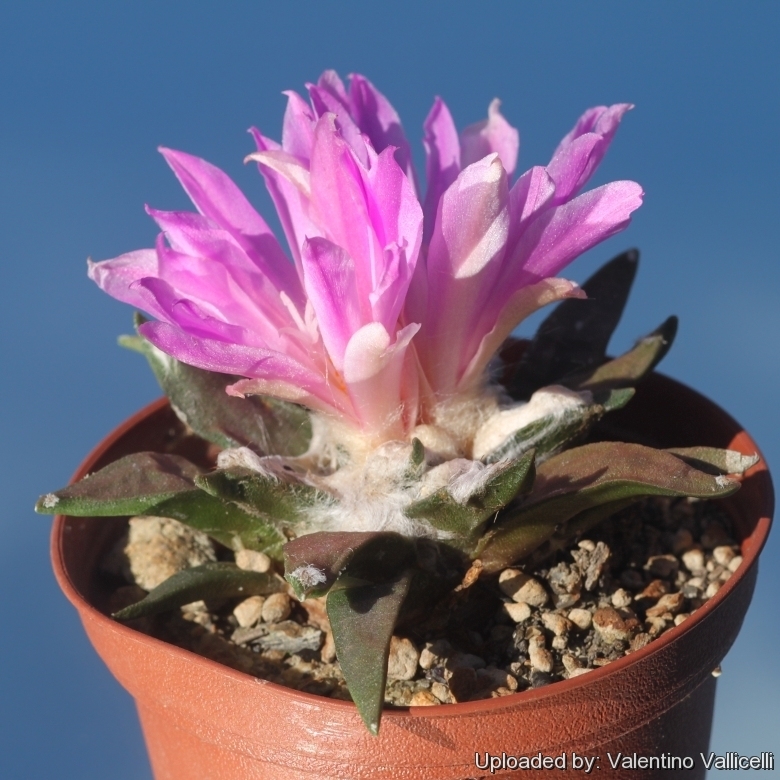 The flower are also very beautiful and reminds those of the Ariocarpus agavoides. It is however quite variable due to its hybrid origin. 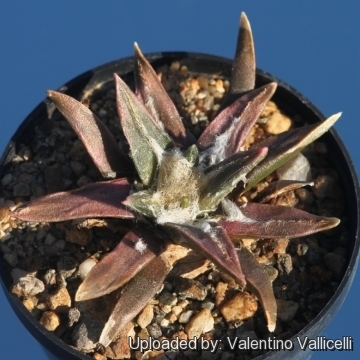 Habit: Small rosette shaped succulent with stiff, rough tubercles. Stem: Greenish-brown, greyish-green, yellowish-green or dark green sub-globose, flattened on top, 5-8 cm high, rising barely above ground level, 7-12 (or more) cm in diameter. The rest of the plant (swollen rootstock) stay underground. Tubercles: Divergent, often flaccid and not erect, thin (buts somewhat wider than in Ariocarpus agavoides) acute at the apexes, flattened adaxially, slightly fissured, not incurved, 3-7 cm long, 5-15 mm broad, usually more than 4 times as long as wide. Areoles: Apical or sub-apical, rounded, 1-5 mm in diameter. Flowers: Up to 5 cm in diameter, up to 5 cm long pinkish to magenta.